Interested in the maker movement? 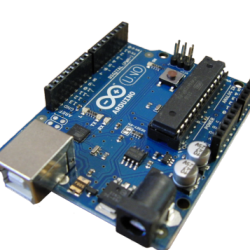 Everything from Arduino to 3D printing is discussed here. Think of this as Liberty.me’s cyber equivalent to a Fab Lab. Anyone interested in what this is all about should give “Makers: The New Industrial Revolution” a read as well as Kevin Carson’s “The Homebrew Industrial Revolution” [http://c4ss.org/content/1148]. NOTE: Please visit the README thread in the “Discussions” tab for this group. My friend got into making knives from old files. Seems they were made from high carbon steel back in your gand father or great grandfather’s day. Yes, they met their goal by a healthy margin. The newer version modifications they may do down the road might be more durable but I haven’t heard of any problems yet. Thanks @stateexempt Checking it out now. @gabrielscheare Right now, it looks like the holy trinity of desktop manufacturing (IMO) is a FabTotum, a Ghost Gunner, and a Mark One. This will be a gathering place for all websites, books, etc. related to open home automation projects. Suggest anything below and it will be aggregated in this post. About to became *way* more active here soon. I will update this thread as promised. In the meantime you may want to check out the twitter feed of Ben Denio, a founding member of Defense Distributed. Should books/projects/sites/videos/etc for each of the topics we end up gather above be listed here too or should each of the above topics get a thread of their own where those things are aggregated over time? This thread will aggregate various topics that will be covered in this group, as well as relevant websites, articles, videos, tutorials, books, projects, or anything else concerning what’s listed here. Hopefully this list will grow overtime as an excellent one-stop collection of material for members to use as a reference guide.